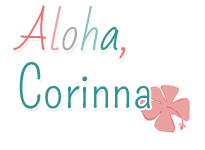 Aloha!! Are you as excited about the weekend as I am?! I don't understand how short weeks seem longer than regular weeks. My theory is you have to pack as much as you can into 4 days that you usually do in 5! This week marks the 5th week we have been in school. I feel like my routines are starting to firm up and students are starting to be a little more independent. The week started out with a little visitor to our classroom. I opened the closet to get some paper out and I saw something scurry out. 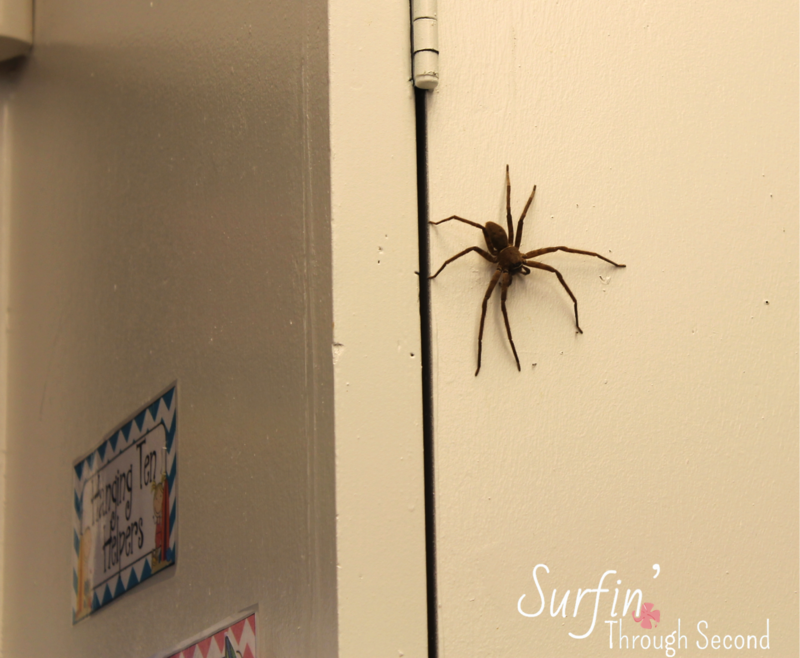 I closed the closet and this large fellow was sitting there. As long as this is not on me I am okay. I knew the kids would freak out, so I calmly said "Wow, this guy is huge! I am going to take a picture of him. Does anyone remember what type of spider he is?" Kids yelled out "Cane" spider and "King" spider. I explained it was a Cane spider and that they came from the sugar cane fields. I spelled it on the board and then we talked about how they were harmless and help eat the bugs in our classroom. I took a picture and they all got back to work. This guy slunk away and I was happy with that. This week I felt like I had gotten a good feel for our new Wonders reading program. I am picking and choosing the most important pieces and I have my Daily 5 routines up and running. Here is the schedule of my Literacy Block for the Week. That first block of the day is spent going over the skills for the week. I have adapted our morning work packet to include the essential skills that Wonders covers for the week. Every Monday I give a pre-test to see who needs help with the spelling skill. If they pass the test they don't need to take the test on Friday. 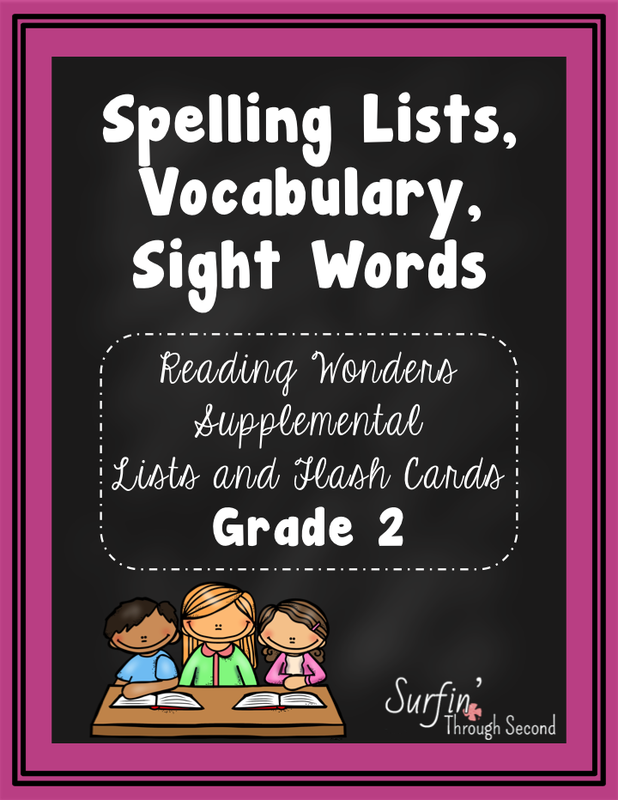 Wonders does provide differentiated spelling lists for each of the levels. I place my spelling list up on the board for the week for different activities and for kids to read them each day. That little pocket chart is for Word Families that I got from Really Good Stuff. On Tuesday I read the story in the Anthology to the class and we go over the vocabulary together. I then have the students partner up and read it. Then they do the vocabulary page in their practice books. I try to get in the writing by having them respond the the essential question for the week in their writing journals. On Wednesday through Friday is when I differentiate and meet with all of my students. 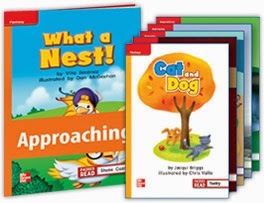 I am so happy we received the leveled readers that come with the program. I can easily see what skills my students need and go from there. I can also work with my lower group on high-frequency words, spelling and fluency. My higher readers can work on the same skills, but I can get them to do more critical thinking, writing and comprehension questions. My Daily 5 rotations are basically the same as last year. 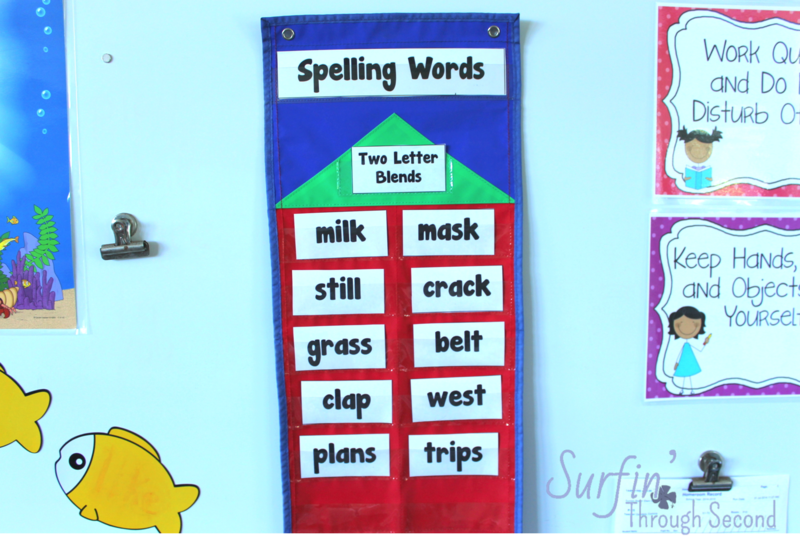 My Word Work centers are all skills that we are covering and they also include activities for spelling. I changed my Writing center a bit and have focused the students on what the Wonders program suggests. This week we were on Unit 1 Week 3. The essential question was "How can a pet be an important friend?" The skill this week was writing a friendly letter. I made some simple writing templates to put in the center. 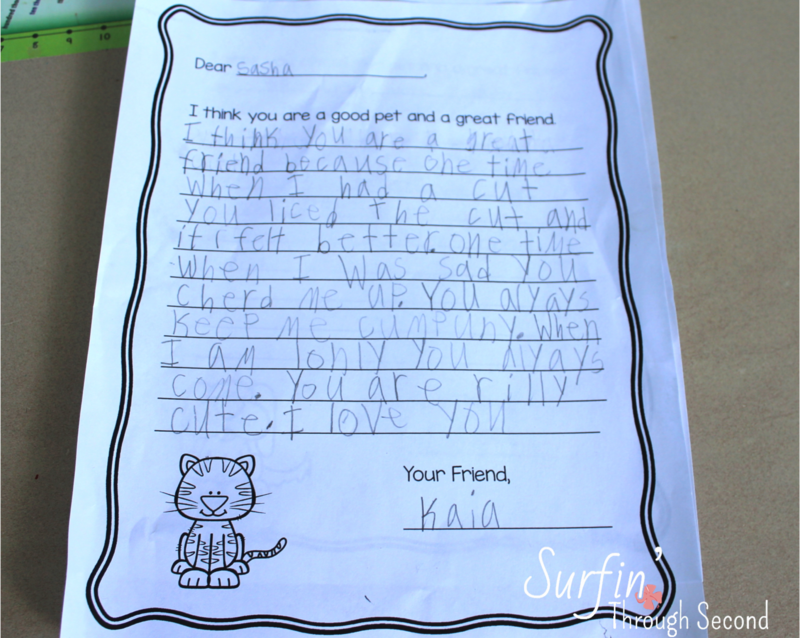 I told the students that they were going to write a letter to their pet and tell them all the reasons why they were a good friend. They did such a great job and they were so excited to write their letters and take them home. 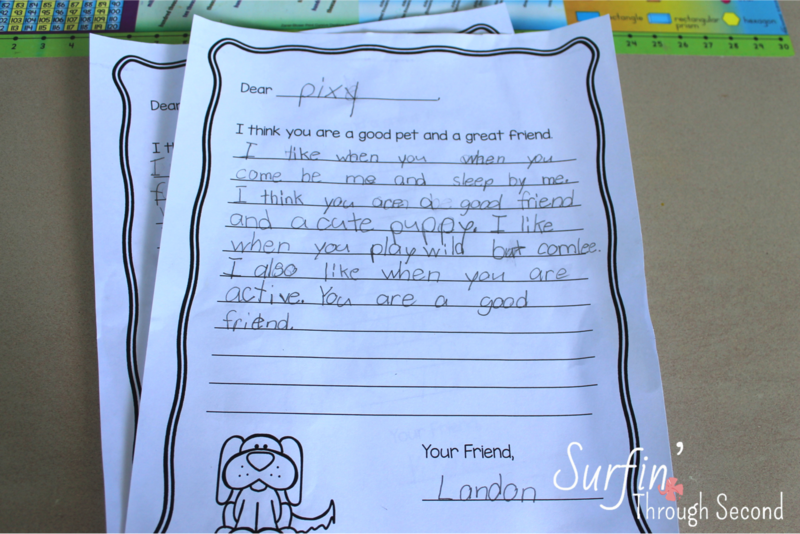 The kids that did not have a pet could write a letter to an imaginary pet or just a letter to a friend. If you would like a copy of these templates click on the picture to download them from Google Docs. Over the last few weeks I have created flashcards and lists for my small groups and whole group activities. I have also put together spelling lists at all the different levels that Wonders has provided. 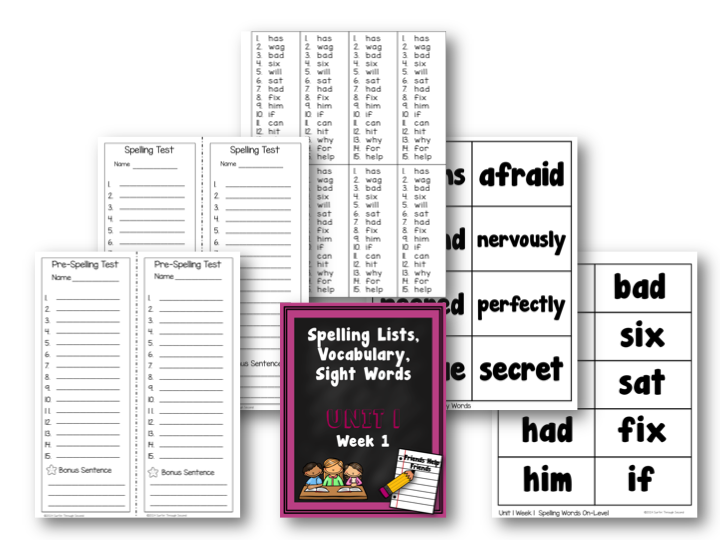 Included are spelling lists, spelling cards, vocabulary cards, and high-frequency word cards for Weeks 1-5. If you are using Wonders this might be helpful to have all of the lists in one place to use for small groups, centers or homework. This will be a freebie the month of September. I would love to hear your thoughts and know what I should add for Unit 2. Head over to my Facebook page and you can grab it in my Facebook freebie section. Wow! What a big spider! Glad you stayed calm..I would have freaked out. We get wolf spiders in North Carolina and my school seems to attract them more since we live near swampier land. They look very similar to that spider, but have thicker legs. Sarah I have heard about wolf spiders. Even the name sounds creepy! I love reading your Wonders posts! This is our 2nd year with it and it's so much nicer because now I know what I want to tweak to make my routine work best for my kiddos. I LOVE your writing templates and hope that there is some way you can keep creating these for your TPT store. The writing portion of Wonders is still my trickiest part and these are great resources to tie it all together! I'm so excited that you're posting supplemental items for our new Wonders program. It's my second year teaching with it and it's so much easier. We use the readers/writers workshop "key" book on Mon & Tues to teach the skills and then the Anthology "lock" book Wed-Fri for application practice. Last year I experimented with Daily 5 Using Wonders with only 4 groups this year I have 5. Here's what I do maybe it can help you a little - read to self, word work (pages from practice book), work on writing (letter or personal narrative this unit), Listening to reading/Connect Ed Online portion of Wonders, teacher table (skill and leveled reader). 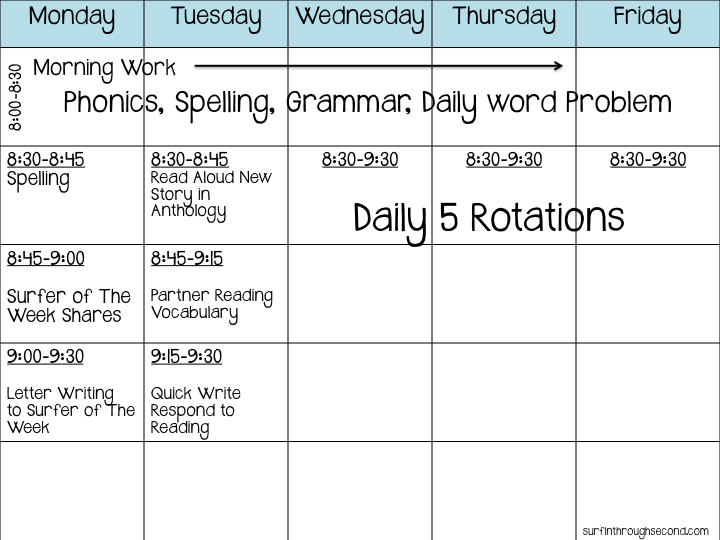 I teach all literacy block on Mondays, Tuesday-Thursday I do Daily 5 all 5 rotations, then on Friday I do review, assessments and then if time permits they get one or two choice rotations. My kids are loving the Writing this year so I'm one happy teacher:) I'll try to keep in touch, you can also email me at Lei Vickers using our LN if you have questions. Mahalo again! Thanks for the tips...I'm really struggling to implement Wonders this first year when I've been doing Daily 5. It seems like sooooo much and I've had a hard time picking the important components and the books are thick and intimidating to me and the kids! I cannot believe you let that little guy scurry away!!! Ahhh!!!! It gives me chills just thinking about it! :) Keep the Wonders posts coming! It's great reading about how you are managing all of the bits and pieces of Wonders! Thank you! I love that word family pocket chart and how you can explicitly state the spelling rule for the week! Thanks for sharing how you are planning with Wonders!